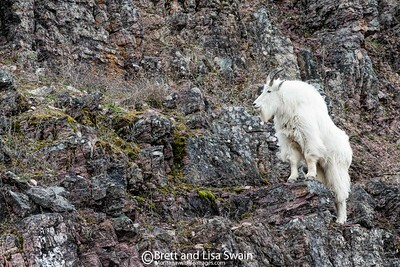 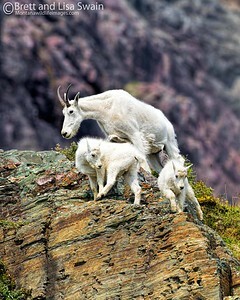 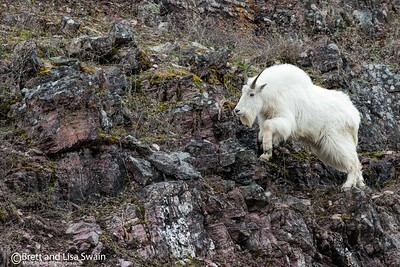 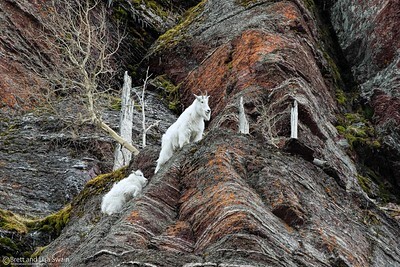 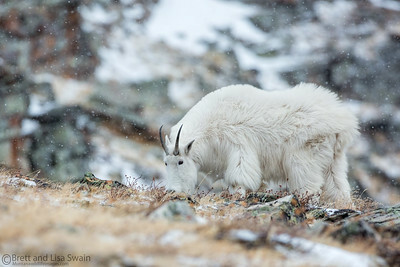 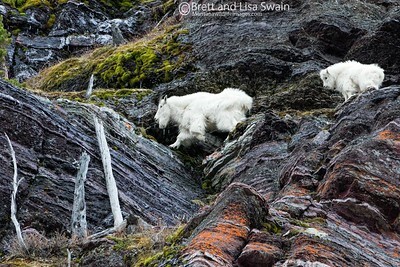 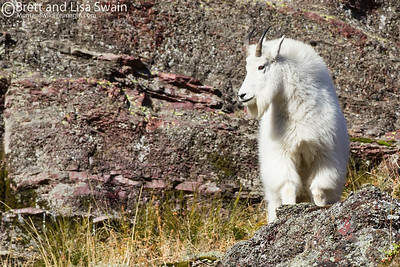 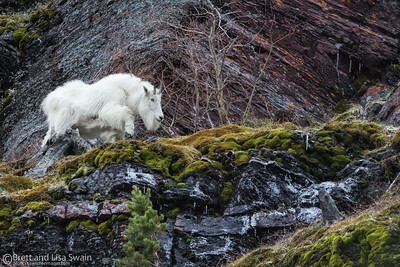 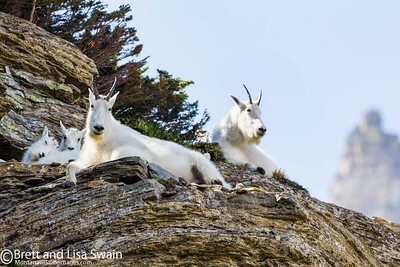 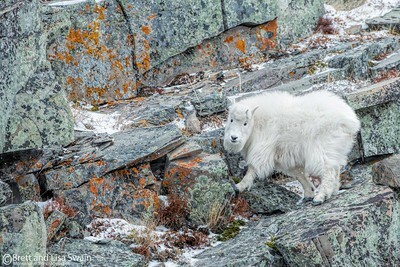 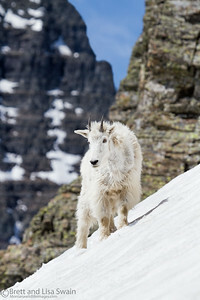 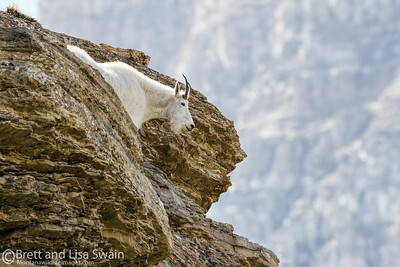 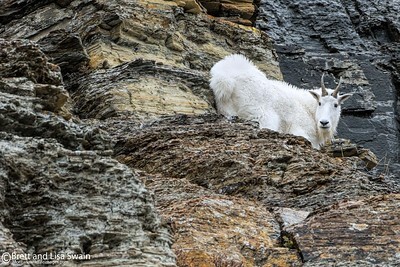 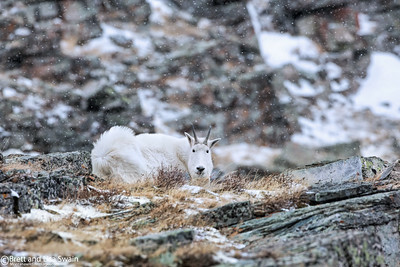 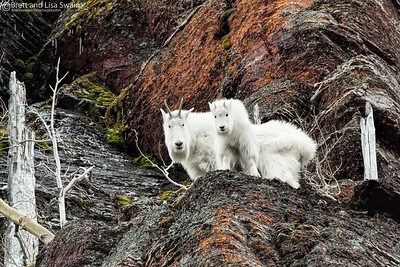 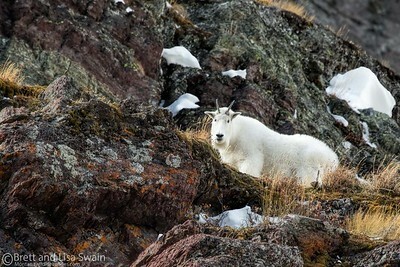 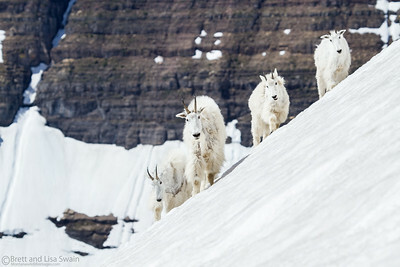 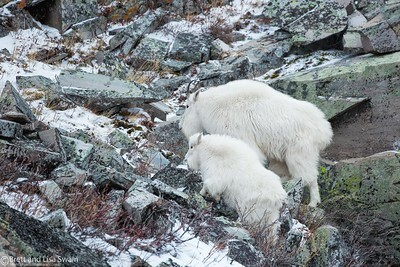 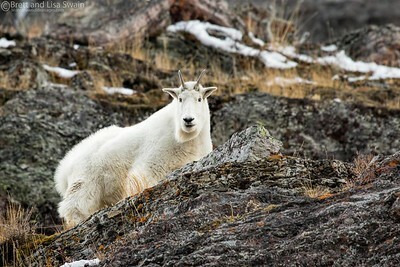 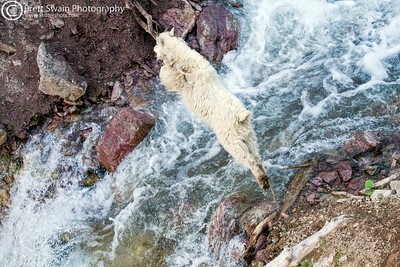 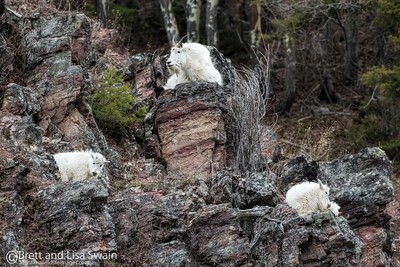 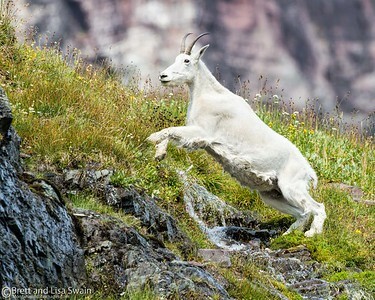 The mountain goat (Oreamnos americanus), also known as the Rocky Mountain goat, is a large hoofed mammal endemic to North America. 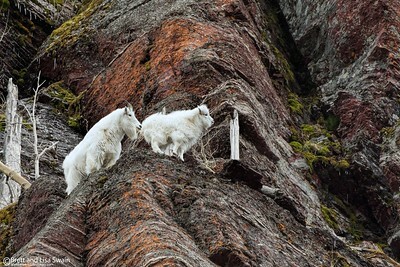 A subalpine to alpine species, it is a sure-footed climber commonly seen on cliffs and ice. 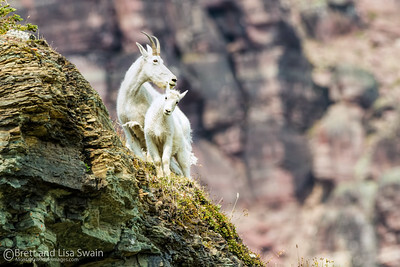 Despite its vernacular name, it is not a member of Capra, the genus that includes all other goats, such as the wild goat, Capra aegagrus, from which the domestic goat is derived.